How time flies. 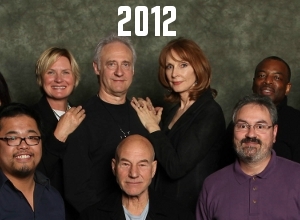 This was brought home by a photo that appeared recently on Reddit that showed the entire first season cast of Star Trek: The Next Generation in 2012. I created this side-by-side comparison so we can see the progression. The first photo is from the original cast photo in 1987, the second was taken at a photo session at the Calgary Expo with two fans. What do you think of the comparison? Who changed the most? Who changed the least? Does this photo bring back memories? Sirtis and McFadden still look good. For that matter, so does Stewart. Wheaton's been a fun reoccurring character on Eureka. Shame it ends soon. I also love Wheaton in The Big Bang Theory. 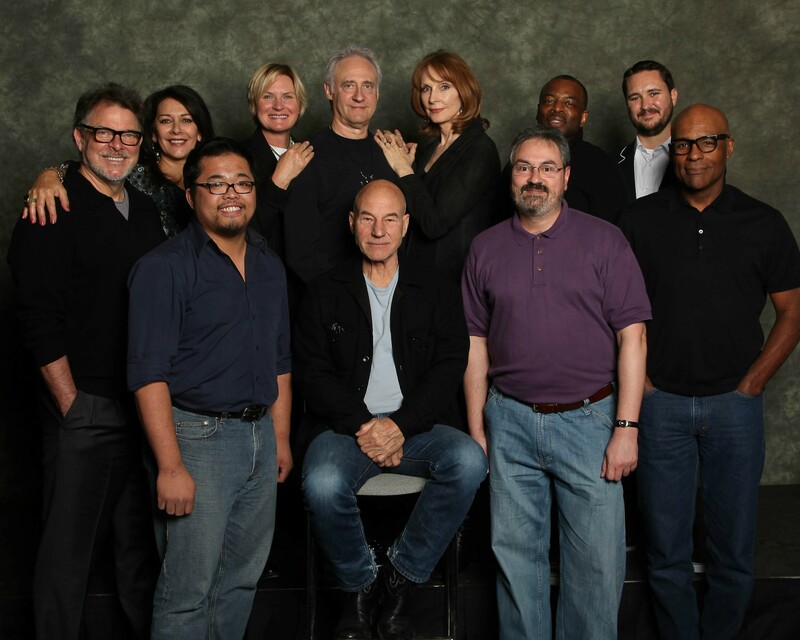 I think Patrick Stewart looks the same. Does that man age at all? Those aren't anonymous fans, they're surviving yellow shirts! Anyway, Marina looks lively as always. Stewart's finally starting to age. And Spiner could definitely pull off Soong really well now. 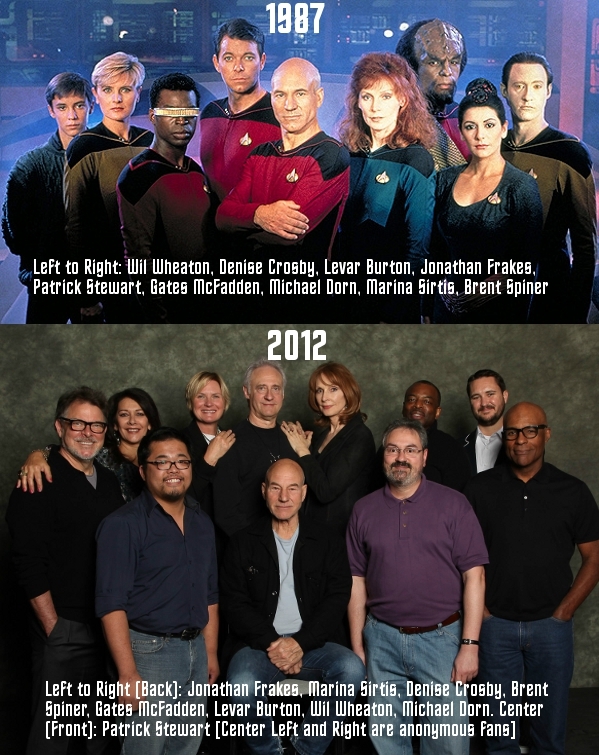 I never would have recognized Jonathan Frakes or Denise Crosby. Wheaton is fun in The Guild, too. I've watched it on Netflix. Plays a similar character as he does on Eureka. Everybody looks pretty good for 25 years later. Gates McFadden wins, though. Michael Dorn comes in second. i really just miss the show, it's sad the last comic con i went to they jammed everyone basically on top of each other. now with the exception of patrick stewart [who is a robot] got his on separate both. it was like star trek cattle call, i am sorry off topic... big change wil wheaton and brent spiner... i want to know what happen to spot? Marina Sirtis got hotter. How'd that happen? I miss TNG . . . it was a large part of my childhood. Brent actually talked about the various "Spot" cats that were on the show, and of course, you can imagine that ALL these years later, those cats would no longer be around, sadly. Perhaps their kittens, tho they would be getting up there in age, as well. RE: Sir Patrick -- it is BECAUSE of the Thousands of pix he does that he seems to be less emotive, I think. When a friend and I went to see him at a SMALL venue, he was FANTASTIC. Laughing, joking, took time to personalize EVERYONE'S photos / items, and the actual photo-ops, he laughed and smiled!! Have a great pic of him, with us, and it's just wonderful - grinning from ear to ear! Also, he's British -- a bit more reserved than North Americans :-) CHEERS! 7 Famous Buildings Nicknamed "Darth Vader"